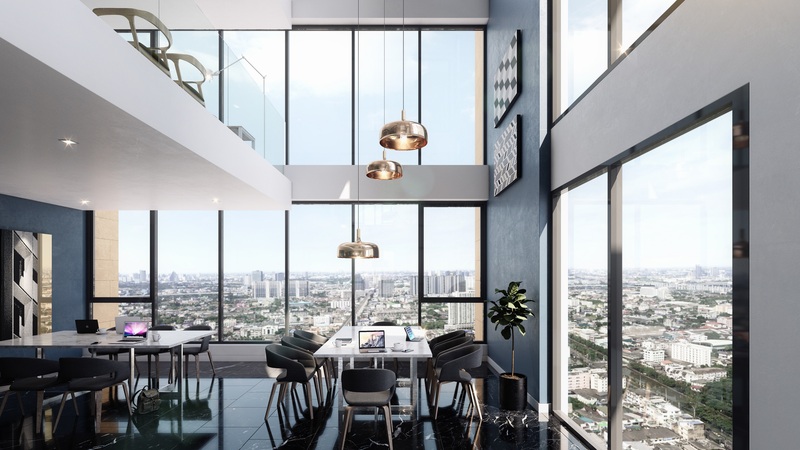 The Niche Taopoon - Interchange has 7 distinct "villages"
"Connect all your lifestyle" in the latest Bangkok development from Sena Hankyu with apartments for sale through Marciano Birjmohun of Knight Frank Thailand. Niche Pride Taopoon - Interchange is a 3.5 billion THB residential development in Bangkok and an iconic representation of the impact Sena Hankyu has on the city. Strategically and conveniently located in the center of the city’s transportation hub, the 3-1-64 Rai development, including a Sky infinity roof swimming pool, multiple facility floors, and over 1 rai of outdoor communal activity space. Connectivity is a value deeply important to Sena Hankyu, and the new Niche Pride Taopoon - Interchange embodies this principle. Niche Pride Taopoon - Interchange is designed to be integrated from the ground up with innovation, bringing a much-needed mix of complimentary uses into this thriving residential. The result will be an urban core that elevates the neighborhood’s already impressive reputation to a new level, providing exceptional new spaces to live, work, play and relax. Sena Hankyu envisions Niche Pride Taopoon - Interchange to be an urban oasis that includes comfort living with extraordinary services. 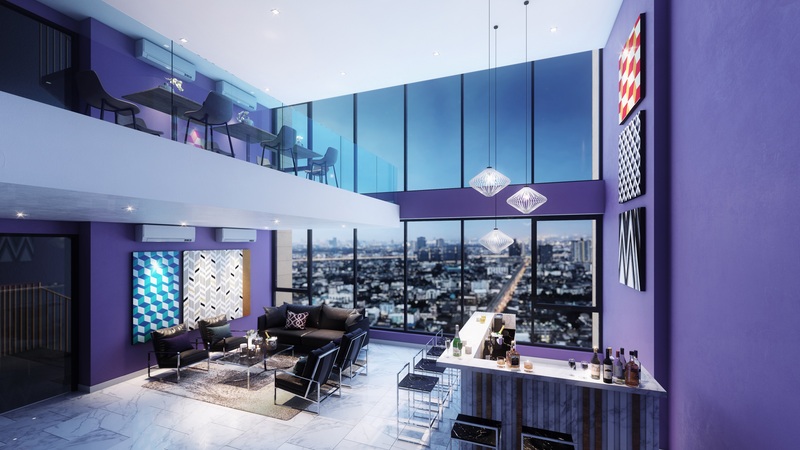 The project was designed to reflect the urban vibrancy, diversity and rich culture of Bangkok, a landmark development with iconic architectural features. Since the project’s inception, Sena Hankyu has sought to ensure that both visitors and businesses will feel synergy with this destination and that it will become a true architectural symbol for the community. Designed from the outset to fully integrate with Bangkok’s transport centers, Niche Pride Taopoon - Interchange sits in the city’s geographic heart and seamlessly interconnects with Bangkok’s transportation infrastructure. The transformative project lies within close proximity to key transport nodes such as Bang Sue Grand Central Station and offering easy access to all major cities and airports. If you would like more information including floor plans, additional renderings, village profiles and building facilities details visit the The Niche Taopoon - Interchange website. If you wish to discuss the price list or discuss the property please email Marciano Birjmohun, Associate Director, Residential Department, Knight Frank Thailand via the contact details below.